Paso Robles is buzzing with energy. I am not sure what it is exactly, but an incredible vibe runs through this town of just 30,000 residents. Driven by an extraordinary level of ambition, Paso’s top producers and their continued search for a clearly defined identity within the wine world combine to make Paso Robles an incredibly dynamic region. Of all the places I visit each and every year, Paso Robles remains without question one of the most exciting. To be sure, things are much more in flux in Paso Robles than they are in any other major AVA in California. That is obvious. Winemakers are trying to understand what Paso wines are and what they can or should be. This year, quite a few winemakers were intent on telling me they are consciously trying to make more ‘finessed’ ,‘elegant’ wines than Paso has previously been known for. At the same time, Paso is struggling to establish an identity free of its long-standing association with France’s Rhône Valley. For example, Tablas Creek has dropped all references to partner winery Château de Beaucastel on their labels in a move to forge a more independent identity the Tablas Creek wines so clearly merit. I see that decision as a move in the right direction. Efforts to carve Paso Robles into more than the single AVA it is today continue, but with no final decisions. I have seen and heard proposals for anything from two smaller AVAs to as many as a dozen. It will be interesting to see where this conversation goes in the coming years. My sense is that two AVAs is probably too few, but much more than that will simply be too confusing. On a side note, Paso Robles has one of the most vibrant restaurant scenes in the Central Coast. Visitors will find any number of great places to eat right off the main square in the center of town. Artisan and Thomas Hill Organics are two of my personal favorites, but there are many more fabulous places to explore. I always leave Paso Robles wishing I had a few extra days! Paso Robles was among the regions that were severely impacted by frost in 2011. Growers reported losses of up to 50%. As was the case throughout the Central Coast, low yields are one of the reasons the 2011s have turned out so well. The low yields were Mother Nature’s way of establishing equilibrium in what would turn out to be a very long, cool growing season that wrapped up only in November. Normal yields would never have ripened in 2011, but with lower crop loads the plants were able to ripen their fruit. The 2011s are on average 1% lower in alcohol, but in Paso Robles that still means wines in the 14.5%-15.5% range, so lower than normal in relative terms, but not at all unusual relative to wines from other regions throughout the world. The best 2011s offer expressive aromatics and quintessentially generous Paso fruit, all backed up by lively acidity. If that sounds appealing, believe me, it is. As great as the best wines are, my largest takeaway from this year’s tastings is that there are still far too many innocuous wines being made in Paso Robles today. 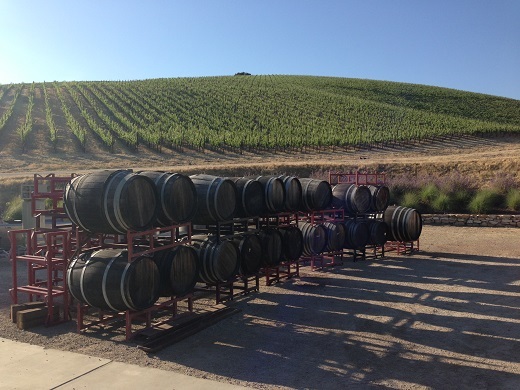 At the end of the day, there are somewhere between 10-20 world-class wineries in Paso. Given the potential of these vineyards, there should be two to three times that many. My distinct impression is that many producers are making the wines they think the market wants, not the wines they themselves want to make or actually drink. That is slowly beginning to change, starting at the top, and as it does, the true quality of these vineyard sites will become more apparent. In my view, the greatness of Paso Robles remains largely unexplored and unrealized by all but a few of the region’s most inspired producers. This year, I found pockets of true excellence beyond just the rock star names in Edna Valley and Arroyo Grande, which lie just south of Paso Robles. Both areas are known mostly for Chardonnay and Pinot Noir, although Alban, the oldest winery in the United States dedicated to Rhône varieties, is a noticeable exception. On average, frost was less of an issue, but cold, rainy weather during the flowering resulted in a poor set and low yields. The 2011s are pretty similar in style to the rest of Central Coast, which is to say they boast tremendous energy and vibrancy in support of bright fruit and beautifully delineated aromatics. Best of all, I found a number of wines in Edna Valley and Arroyo Grande that deliver fabulous quality for the money. These are definitely areas to watch for the future. I hope to be able to taste an even broader range of wines next year. As I have done for the last two years, once again this year I am dividing Central Coast coverage into several smaller articles in order to give greater focus to each of the specific regions that make up this vast set of appellations that essentially spans just north of Los Angeles to just south of San Francisco. 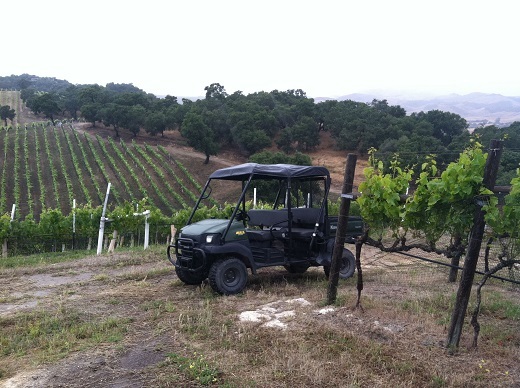 Paso Robles and environs are the focus in the final installment of this year’s coverage. All of the wines in this article were tasted in June 2013. Recently published articles on the wines of Santa Barbara, the Santa Cruz Mountains and the Santa Lucia Highlands round out our Central Coast coverage.